Posted by Barbara Bissonnette: I think it is positive that there are more organizations adapting the Specialisterne model. Right now, the focus is on high tech, but I bet that will change. The numbers are so big, the topic of employment is finally on the radar screen. This may at first sound counter-intuitive, but I think that networking is particularly important for those individuals who are seeking competitive (not sheltered or supported) employment. I am not talking about business mixers. I mean one-on-one networking, online, and strategic volunteering. Individuals must be clear on their skills, and what jobs they qualify for. I find that literalness and difficulty seeing the big picture can create a lot of confusion. I’ve had clients who notice one or two key words, and believe that they match the job criteria. In reality, they are missing critical experience or knowledge. Finally, a person needs a realistic job search plan. The individuals I see who are really struggling are basing their entire search on passively sending resumes in response to posted openings. This is the hardest way to get a job. I encourage people to get involved in a hobby or other activity that puts them in touch with other people. This is also a job search strategy. Several of my clients found jobs through people they knew from hobby clubs or through their religious organizations. Posted by Teresa Rios Van Dusen : My son and I went to visit NonPareil Institute here in Plano, TX. They work with training and producing software just hiring people on the spectrum. 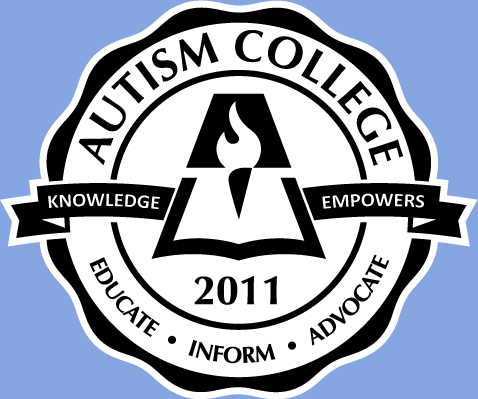 They understand autism and they created a company that has all necessary accommodations for people on ASD. They have a firm believe that they can have commercial success by creating these accommodations, because the time they are productive make up for the time they need to refrain from working. They have flexible work hours, they have a very opened environment, they understand when an employee needs a time away, they provide the necessary tools for them to be productive. But the most important thing is that, as everyone their is on the spectrum, they are not judgmental about each other’s behavior. Posted by David Hamilton : My daughter is 26 and works at home as a free lance grafic designer , sjhamilton.com and www.atticuspetdesign.com . In spite of her talent she cannot negotiate the nuero-typical world and so will never likely be accepted in an enviorment that does’nt understand the challenges of being autistic . “We” need our own culture or “sub”culture , i feel if this problem is ever going to be adequately resolved . A corporation for Aspie employment . Anything else is redundent . And like so many efforts directed toward children the aim is to make a neuro-typical individual become more “like us ” . We are not not you and that’s ok . Why don’t neuro-typicals design a protcal to become autistic . The bias is clear . Knowing this should be enough to convince most people we need our own identity and culture that supports acceptance not change . Posted by Michael Rana II : One of the struggles that folks ‘on the spectrum’ face is that we’re looking for work in a neurotypical world. We also live in a world that demands change, whose structure changes on a daily basis. It’s like an epileptic going to a disco ball – they’d be out in 5 minutes. I am one of the more fortunate Aspies, who grew up with change (I grew up military); for me, when something DOES NOT change, it bothers me. I know that when I change something (on my terms), it doesn’t bother me, but if someone changes my structure without a solid reason for it, it does bug me. Teresa: “He has a hard time passing the recruitment screening in big companies, because usually they apply aptitude tests. ” – Most neurotypicals struggle with those because they’re ‘rigged for the house’. An Aspie that has no concept of social cues (and this would be one) would not realize that in order to pass that test, he or she would have to answer in a certain way. I could go into more detail, but it might be easier by email. My email address is on my profile, if you’d like to connect.